The chief jail inspector for the Iowa Department of Corrections is praising county jail administrators who allow inmates to have limited access to cell phones for texting. Calling it a “positive movement,” Delbert Longley estimates over half of Iowa’s county jails have implemented the practice within the past couple years. “It gives them an additional communication tool that prisoners have with their families,” Longley said. 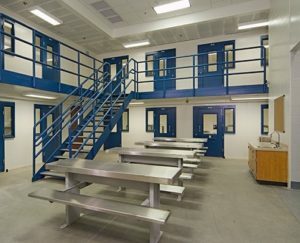 According to Longley, jail inmates “deserve to be treated with respect” and giving them an easy way to reach family or friends is part of that effort. “This is a public record. It can be monitored, so we don’t have to worry about improper language or improper communications of any sort going on with it,” Longley said. Many county jail administrators across Iowa have told Longley the text program has helped improve inmate behavior in their facilities.